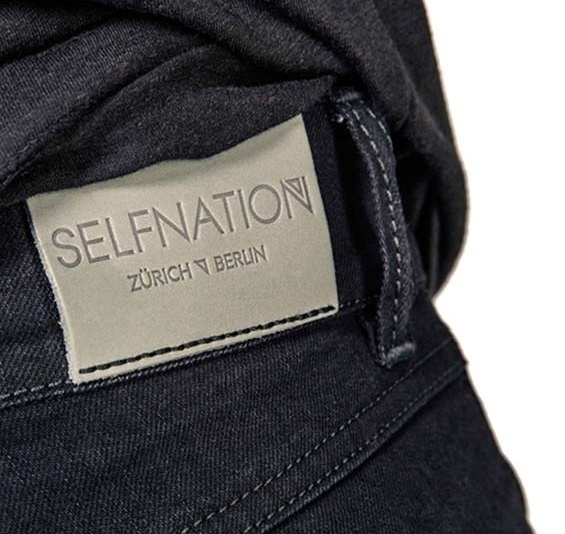 The Zurich based startup Selfnation has made customtailored jeans from the internet a hot commodity. It uses software that creates a 3D model from measurements entered by the customer and calculates the pattern on that basis. Selfnation offers perfect fitting clothes online with a new visualization and production technology. The ETH spin-off uses the customers measurments to calculate the perfect sewing pattern. Since last November, the founders Andreas Guggenbühl and Michael Berli have also been producing men’s jeans. The company expanded to Germany in early 2015 and concluded a funding round this August. Alessandra from ETH Founders Community talked with CEO Andreas Guggenbühl. Alessandra, the stage is yours. Hello, my name is Andreas Guggenbühl. I am originally from Uri but now living happily in Zurich. I am 27 years old and I studied mechanical engineering at the ETH. 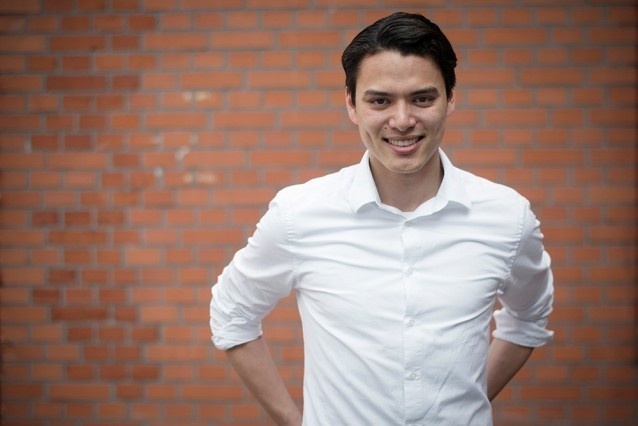 And since 2013 I am the co-founder of the startup Selfnation (the legal entity is called RealLook AG). Selfnation is a startup connecting fashion and technology. It started with a simple everyday problem. It’s a hassle finding a pair of jeans that fit you well. The reason why is because things that need to fit are mathematically harder to find than things that are loose. On average we try on 16 pairs of jeans before buying one. Now with people buying more stuff online we have the problem that you cannot do this trial and error. There is a 80% return rate for jeans that have been bought online. And jeans are one of the most boughten fashion items. Our solution to this problem is easy. On our website you provide us with 8 measures, we then give you a 3D model in your browser that simulates you wearing our jeans – as if you were in front of a mirror. Once you’ve ordered it, an algorithm converts those measures into sewing patterns which are then pieced together. A machine then cuts out the pieces in 40 seconds. Et voilà after 14 days you will have the jeans in your post box. I started working on the idea with my co-founder Michael Berli when we were still studying back in 2012. The idea came to us following our experience of going shopping with our female friends. We then applied at Venture Kick who supported and coached in all fields of entrepreneurship. Their positive feedback also encouraged us to pursue the idea. We took part and won 130k in funding from the Venture Kick program and last year we also took part in the Venture Leaders program. Our current aim is to expand to the whole of the DACH market and then Scandinavia and Great Britain. Right now we are also expanding our product range and going beyond jeans. We are also in negotiation with several fashion companies to license our sewing pattern algorithms and 3D visualization. Is there any crowd wisdom you could benefit from from the wider ETH Spin-off community? One thing we spent a lot of time and money on at the beginning was laywers. If there were a set of template contracts that people share to get an idea of what the format needs to be like, that would have been useful. What is the biggest mistake you have made so far with your business? Not having started earlier with reading books about startups. The biggest problem is that we think we can progress with just our own intelligence, but it is really important to learn from other people’s experiences. So what I learned from reading books was the importance of doing one thing really well rather than focusing on doing everything well. Because being significantly better in one thing has a bigger effect than doing a lot of things well. What books would you recommend other people read? Zero to One by Peter Thiel and anything written by Guy Kawasaki (former employee of Apple). And what is your question for the next face of the ETH Spin-off Community? If you had to eat the same food dish 100 days in a row what would it be? You can meet Selfnation at a venturelab workshop on December 1st: Luke Szkudlarek (what.digital) and Valerio Stallone (Selfnation) will demonstrate how startups can plan their digital marketing to make the best use of their resources and media budgets. Goal of this use case is to deliver the data-driven digital marketing plan for next year, which covers SEO/PPC/Email/Display/Social. They will together walk through the methodology, final plan & give practical tips to help other startups. The session is for startups that already use digital marketing and would like to make smarter decisions regarding their budget & effort allocation in the future. Apply for this workshop now. The attendance is limited. Selfnation is a Venture Kick alumni, ranks #19 at the Top100 list of startups and participated at the venture leaders journey last year. We did an after-found interview with Andreas and co-founder Michael Berli. And check out the video-portrait clip of Andreas before he went to Boston and New York.